The ukulele is a fun and easy instrument to learn. We provide ukulele lessons to students of all ages, from children as young as six years old to adults and we cater to all levels, from beginner to advanced. Whether you are looking to learn for fun or to join a ukulele club, we can get you strumming. Book Now! 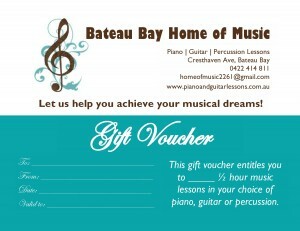 We provide ukulele lessons tailored to your needs. At the initial level, you will master all the must-know chords for playing your favourite songs in a short amount of time. You'll also discover the tricks for moving from one chord to another effortlessly and smoothly. You will also learn how to tune and string your ukulele, as well as strum with a good sense of rhythm. 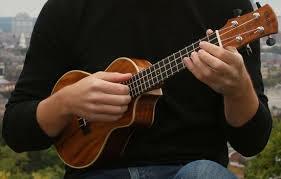 Our lessons are suitable for all the different sizes of ukulele. Lessons are taught during the school terms at all times of day, with a break during school holidays. Early morning and evening lessons are available to accommodate students who would like lessons before or after school or work. We recommend that students have regular weekly lessons at the same time slot to ensure continuous progress. There are 4 different sizes of ukulele. Any type of ukulele is fine to get started so long as it is able to be tuned correctly. We can recommend ukulele types to suit what is best for you depending on your age and ability.